It’s easy to check if your wedding date is available. Just pick up the phone and call (407) 504-1627 in Orlando, Florida. Let us know your wedding date and we’ll let you know if your wedding date is available. Orlando Bride Guide offers an experienced and professional wedding videographer in Orlando. 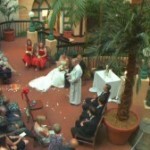 The $200 Wedding Video Service in Orlando is a call away. It’s easy to check if your wedding date is available. Just pick up the phone and call (407) 504-1627 in Orlando, Florida. Let us know your wedding date and we’ll let you know if your wedding date is available. The wedding above was filmed on a luxury yacht. “I can’t wait to see my wedding video,” said the bride. Contact us below. 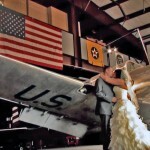 The wedding above was filmed at an airplane hangar. Capture your wedding memories on video. Contact us below. 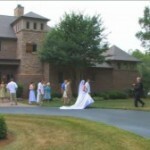 The wedding above was filmed at the bride’s home with a backyard reception. Capture your wedding memories on video. The wedding video above was filmed at the Mission Inn. Don’t forget the wedding video when planning your wedding. The wedding above was filmed at an Embassy Suites. The wedding venue was great for filming from higher angles. How will your wedding be remembered? Don’t forget your wedding video.